Sunglasses by the brand Serengeti Unisex Sunglasses, with reference S0009593, with a(n) Sporty style.Serengeti Volare 8495 Satin Black Polarized 555nm they have a(n) Full Rim frame made of Acetate / plastic with a(n) Sporty shape in Black and Lead colours. They have Mineral, Green, Polarized, Photochromic, UniformPolarized + Gradient lenses. These glasses are suitable for prescription lenses. These are top of the range glasses from the brand Serengeti, made of high-quality materials, modern glasses that will give you a look that matches your image. Buy Serengeti Volare 8495 Satin Black Polarized 555nm sunglasses in an easy and safe way at the best price in our online store. Sunglasses by the brand SERENGETI Unisex Sunglasses, , with a(n) Sporty style.Serengeti Volare 8494 Satin Black/Shiny Medium Gunmetal Polarized Drivers they have a(n) Full Rim frame made of Acetate / plastic with a(n) Sporty shape in Black colour. They have Mineral, Brown, Polarized, Photochromic, UniformPolarized + Gradient lenses. These glasses are suitable for prescription lenses. These are top of the range glasses from the brand SERENGETI, made of high-quality materials, modern glasses that will give you a look that matches your image. Buy Serengeti Volare 8494 Satin Black/Shiny Medium Gunmetal Polarized Drivers sunglasses in an easy and safe way at the best price in our online store. string(165) "Buy Serengeti Volare 8494 Satin Black/Shiny Medium Gunmet... sunglasses. Modern and elegant model. Original product with fast shipping, quality guarantee and refund." string(211) "serengeti 8267 merano satin shiny black polarized 555nm blue mirror,serengeti,elegant sunglasses,sports  design,acetate,modern,resistant,tough,sunglasses 2014,sunglasses 2015,designer glasses,guarranteed glasses"
string(73) "Serengeti Volare 8494 Satin Black/Shiny Medium Gunmetal Polarized Drivers"
string(91) "In an environment where things change fast, our lenses help your eyes adapt even faster. Sunglasses by the brand SERENGETI Unisex Sunglasses, , with a(n) Sporty style.Serengeti Volare 8497 Satin Tortoise/Satin Medium Gunmetal Polarized 555nm they have a(n) Full Rim frame made of Acetate / plastic with a(n) Sporty shape in Havana colour. They have Mineral, Green, Polarized, Photochromic, UniformPolarized + Gradient lenses. These glasses are suitable for prescription lenses. These are top of the range glasses from the brand SERENGETI, made of high-quality materials, modern glasses that will give you a look that matches your image. Buy Serengeti Volare 8497 Satin Tortoise/Satin Medium Gunmetal Polarized 555nm sunglasses in an easy and safe way at the best price in our online store. 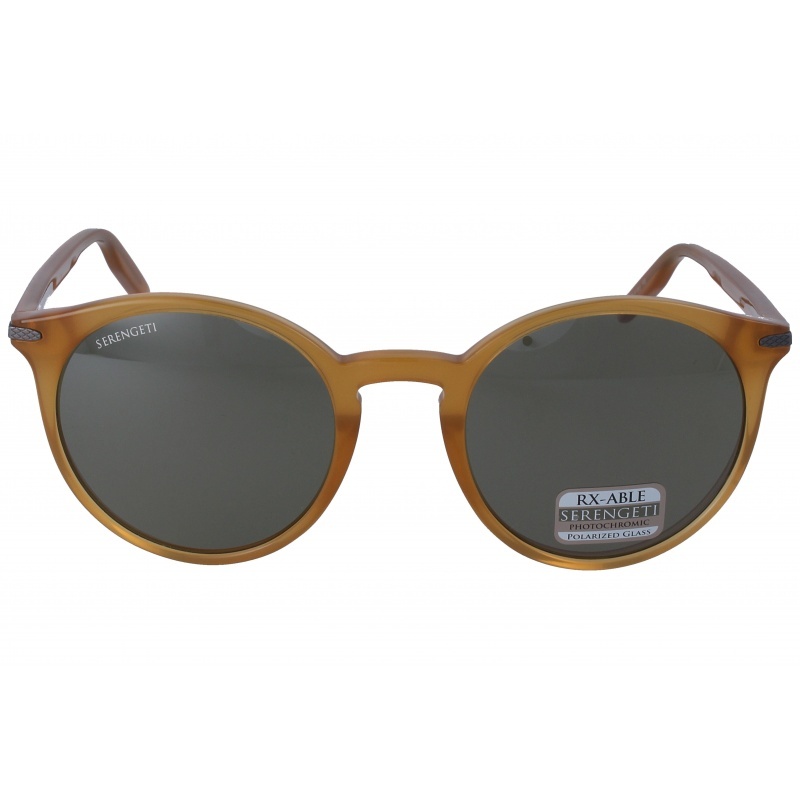 string(165) "Buy Serengeti Volare 8497 Satin Tortoise/Satin Medium Gun... sunglasses. Modern and elegant model. Original product with fast shipping, quality guarantee and refund." string(74) "Serengeti Volare 8497 Satin Tortoise/Satin Medium Gunmetal Polarized 555nm"
Sunglasses by the brand SERENGETI for Sunglasses for men, , with a(n) Formal, Modern and Sporty style.Serengeti San Remo 7604 Satin Black/Gray Stripe Polarized 555nm they have a(n) Full Rim frame made of Metal with a(n) Squared and Sporty shape in Black and Grey colours. They have Mineral, Green, Polarized, PhotochromicUniform lenses. These glasses are suitable for prescription lenses. These are top of the range glasses from the brand SERENGETI, made of high-quality materials, modern glasses that will give you a look that matches your image. Buy Serengeti San Remo 7604 Satin Black/Gray Stripe Polarized 555nm sunglasses in an easy and safe way at the best price in our online store. string(165) "Buy Serengeti San Remo 7604 Satin Black/Gray Stripe Polar... sunglasses. Modern and elegant model. Original product with fast shipping, quality guarantee and refund." string(207) "serengeti sunglasses polarized and photochromic,serengeti prices,serengeti sunglasses 2014 sunglasses serengeti opinions,serengeti prescription glasses,sunglasses strato serengeti,serengeti sunglasses spain." string(63) "Serengeti San Remo 7604 Satin Black/Gray Stripe Polarized 555nm"
Sunglasses by the brand SERENGETI for Sunglasses for men, , with a(n) Formal, Modern and Sporty style.Serengeti Dante 8458 Black Pearl Polarized 555nm Blue they have a(n) Full Rim frame made of Metal with a(n) Squared and Sporty shape in Black colour. They have Mineral, Blue, Polarized, Mirror, Photochromic, UniformPolarized + Gradient lenses. These glasses are suitable for prescription lenses. These are top of the range glasses from the brand SERENGETI, made of high-quality materials, modern glasses that will give you a look that matches your image. Buy Serengeti Dante 8458 Black Pearl Polarized 555nm Blue sunglasses in an easy and safe way at the best price in our online store. string(162) "Buy Serengeti Dante 8458 Black Pearl Polarized 555nm Blue sunglasses. Modern and elegant model. Original product with fast shipping, quality guarantee and refund." string(53) "Serengeti Dante 8458 Black Pearl Polarized 555nm Blue"
Sunglasses by the brand Serengeti for Sunglasses for men, with reference S0010319, with a(n) Formal and Retro/Vintage style.Serengeti 8818 Shiny Black/Black/Red Polar 555NM they have a(n) Full Rim frame made of Metal with a(n) Squared shape in Black colour. They have Mineral, Green, Polarized, PhotochromicUniform lenses. These glasses are suitable for prescription lenses. These are top of the range glasses from the brand Serengeti, made of high-quality materials, modern glasses that will give you a look that matches your image. Buy Serengeti 8818 Shiny Black/Black/Red Polar 555NM sunglasses in an easy and safe way at the best price in our online store. string(157) "Buy Serengeti 8818 Shiny Black/Black/Red Polar 555NM sunglasses. Modern and elegant model. Original product with fast shipping, quality guarantee and refund." string(48) "Serengeti 8818 Shiny Black/Black/Red Polar 555NM"
Sunglasses by the brand Serengeti for Sunglasses for men, with reference S0010318, with a(n) Formal and Retro/Vintage style.Serengeti 8799 Spello Shiny Gun Metal/Dark Brown Polar Drivers they have a(n) Full Rim frame made of Metal with a(n) Squared shape in Metallic colour. They have Mineral, Brown, Polarized, PhotochromicUniform lenses. These glasses are suitable for prescription lenses. These are top of the range glasses from the brand Serengeti, made of high-quality materials, modern glasses that will give you a look that matches your image. Buy Serengeti 8799 Spello Shiny Gun Metal/Dark Brown Polar Drivers sunglasses in an easy and safe way at the best price in our online store. 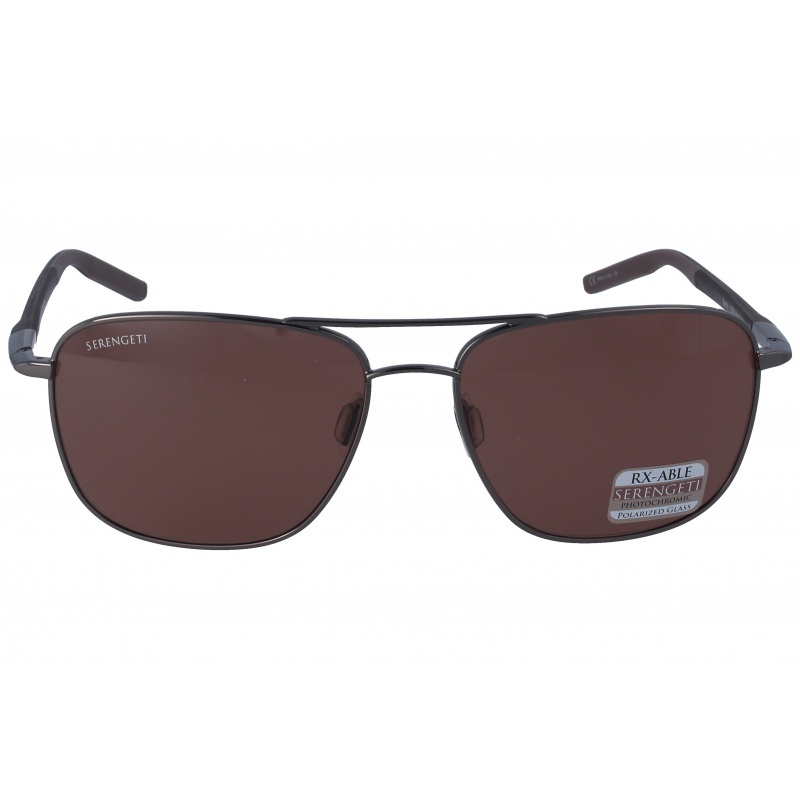 string(165) "Buy Serengeti Spello 8799 Shiny Gun Metal/Dark Brown Pola... sunglasses. Modern and elegant model. Original product with fast shipping, quality guarantee and refund." string(62) "Serengeti 8799 Spello Shiny Gun Metal/Dark Brown Polar Drivers"
Sunglasses by the brand Serengeti for Sunglasses for men, with reference S0010317, with a(n) Formal and Retro/Vintage style.Serengeti 8837 Raffaele Matt Black/Matt Mossy Oak Polar Drivers they have a(n) Full Rim frame made of Acetate / plastic with a(n) Round and Oval shape in Black colour. They have Mineral, Brown, Polarized, PhotochromicUniform lenses. These glasses are suitable for prescription lenses. These are top of the range glasses from the brand Serengeti, made of high-quality materials, modern glasses that will give you a look that matches your image. Buy Serengeti 8837 Raffaele Matt Black/Matt Mossy Oak Polar Drivers sunglasses in an easy and safe way at the best price in our online store. 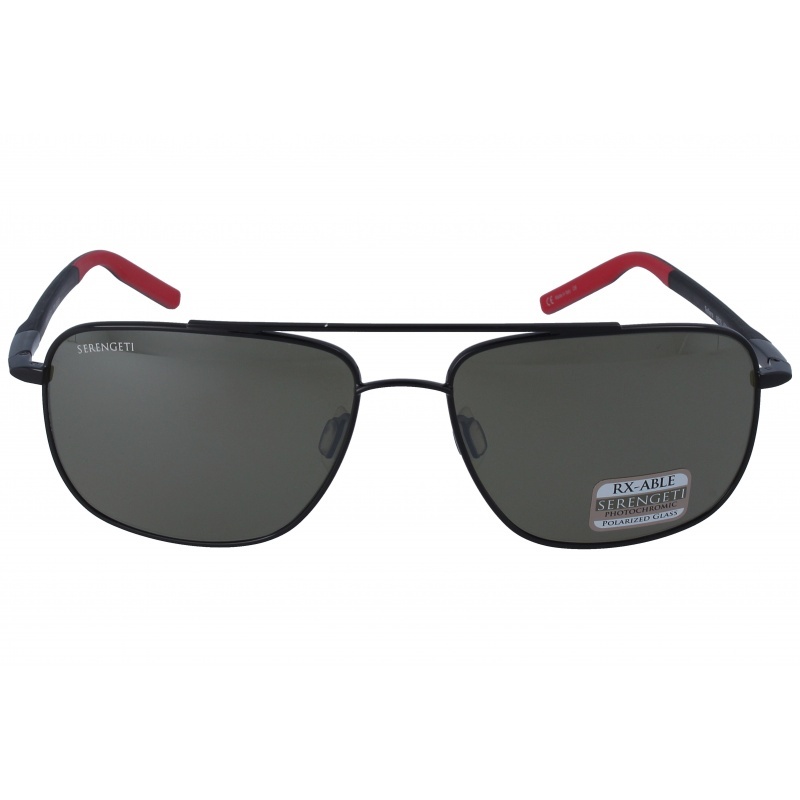 string(165) "Buy Serengeti Raffaele 8837 Matt Black/Matt Mossy Oak Pol... sunglasses. Modern and elegant model. Original product with fast shipping, quality guarantee and refund." string(63) "Serengeti 8837 Raffaele Matt Black/Matt Mossy Oak Polar Drivers"
Sunglasses by the brand Serengeti for Women’s sunglasses, with reference S0010316, with a(n) Female and Retro/Vintage style.Serengeti 8843 Leonora Shiny Honey Polar 555NM they have a(n) Full Rim frame made of Acetate / plastic with a(n) Round and Oval shape in Light brown colour. They have Mineral, Green, Polarized, PhotochromicUniform lenses. These glasses are suitable for prescription lenses. These are top of the range glasses from the brand Serengeti, made of high-quality materials, modern glasses that will give you a look that matches your image. Buy Serengeti 8843 Leonora Shiny Honey Polar 555NM sunglasses in an easy and safe way at the best price in our online store. string(155) "Buy Serengeti 8843 Leonora Shiny Honey Polar 555NM sunglasses. Modern and elegant model. Original product with fast shipping, quality guarantee and refund." string(46) "Serengeti 8843 Leonora Shiny Honey Polar 555NM"